You don’t need to be an educator to be successful. 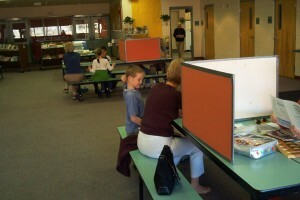 We have retired teachers to provide guidance for the tutors at each center. What we do need are volunteers who are willing to spend a couple of hours, twice a week, making a difference for a child. While we always need substitutes for tutors who are absent for illness, trips, etc., our current biggest need is for people who can commit to tutoring on a regular basis. We meet with the students twice a week (Monday and Wednesday at Big Park School, Tuesday and Thursday for West Sedona School) immediately after school to work on reading, writing and arithmetic. Our work with the students begins around the first of October and runs through March. Each volunteer is assigned a student. During the twice weekly sessions, they work on reading, writing and arithmetic areas that need emphasis. The time commitment for a regular volunteer is about 4 hours per week – not much considering the difference it can make. We’ve seen some of our former students go on to make the honor role in later grades. And we almost always see positive things happen. Please consider taking this opportunity to serve our community. If you would like more information, call Carolyn Fisher at 928-284-4638 or email sedonaliteracy@yahoo.com. I plan to be at the Orientation on Sept 13th. Yes. Looking forward to learning more about being a substitute tutor only. Come to the Orientation on Sept 11, 2018, at 1 pm at the Church of the Nazarene, 55 Rojo Dr in the Village of Oak Creek to learn more.